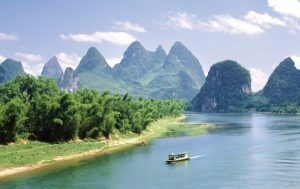 Guilin (China) – October 17, 2017 (travelindex.com) – The World Tourism Organization (UNWTO), the Pacific Asia Travel Association (PATA) and the People’s Government of Guilin of China held the 11th UNWTO/PATA Forum on Tourism Trends and Outlook on 10-12 October 2017. The theme of this year’s edition – ‘Sustainable Tourism: Beyond Being Green’, aligns with the celebration of the 2017 International Year of Sustainable Tourism for Development. With the longstanding collaboration of the Hong-Kong Polytechnic University, the Forum has become over the last eleven years a reference platform on global and regional tourism trends. “The International Year celebrations come at a very important moment since the UN has adopted the universal 2030 agenda of sustainable development and the corresponding 17 SDGs. Thus the IY2017 provides a unique opportunity to highlight the role of tourism in the context of the 17 SDGs.” said Márcio Favilla, UNWTO Executive Director for Operational Programmes and Institutional Relations. Asia and the Pacific recorded 308 million international tourist arrivals in 2016. With a 9% increase over 2015 it had the highest growth in both relative and absolute terms across all regions consolidating the trend of past years. Asia boasted a robust growth of 6.5% a year between 2005 and 2016. The 11th UNWTO/PATA Forum on Tourism Trends and Outlook drew the participation of government officials from National Tourism Administrations, National Tourism Organisations, tourism businesses and academics. The Forum concluded by emphasizing the need to build on the three decades of sustainable tourism research and practice and on how to move sustainability to the next level.